OSI Affiliate software acts as a relationship marketing software as well. It allows you to build relationships and create a referral program within minutes. You would want and the right tools to grow your business. This tool makes referring people into your business easier. All your customers and site visitors would need to do is provide their email address then they would be able to start promoting and earning incentives. This widget also makes it possible for them to promote you through emails, Facebook, LinkedIn, Twitter and others. This feature from a referral marketing software makes bounce rates lower and increases the conversions of sales. Your customers could receive incentives in different forms such as coupons or discount codes, these rewards could also be used when referring to make it more enticing. This features allow easy rewarding. This also allows different ways to reward such as coupons, commissions, discounts, gift cards, as well as other methods. 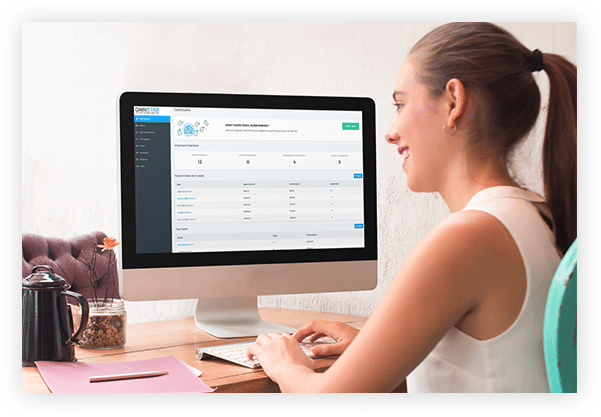 This feature makes turning loyal customers into loyal referrers way easier and faster than ever. Whenever a customer purchases, you can invite them to your referral program. Thank you pages could be a way to gain more referrals and maybe even go viral too. When a thank you page is customizable, it’s ideal to leverage it. There are a lot of things you can explore in your relationship marketing software to grow more sales and customers. Contests could motivate your customers. Relationship marketing software is a good place to build trust and relationships and a contest is one amazing way to spark it. The contest manager feature allows you to create, run, and manage. There are unlimited email templates available which your referrers would be able to use in order to be able to start as soon as possible. Feedback’s are good for your relationship marketing software, having one would make your software and your business better. This also allows you to know who among your friends are interested to join your referral program. There are a lot of chances in every part of your website, popups and forums are a good way as long as you can commit to the times when they would need you. When you develop partnerships and build relationships with them, it’s a clever way to build relationships. Your relationship marketing software partners would be able to promote your business. Auto partnerships would be able to increase your sales. Omnistar Affiliate has been great for my business, it has helped me gain helpful affiliates willing to promote my business. The software is easy to set up and customize and looks a lot better than most other affiliate solutions out there. It was easy enough to integrate into my system and the documentation is very in depth and helpful. By using omnistar affiliate software, we are able to track and pay affiliates that would have been impossible by hand. With our pricing structure, no two people's service is the same. Omnistar Affiliate lets us make sure our affiliate team is provided the best service possible. We use the Affiliation program for promoting our CRM. By creating affiliates that promote our product, and by having great sale margins we make sure everyone gets the most of what they do. OSI Affiliate has all the powerful tools you need to grow with referral marketing. We also support you along the way. You will get the best 1-on-1 customer support and help. Click below to get started for free.